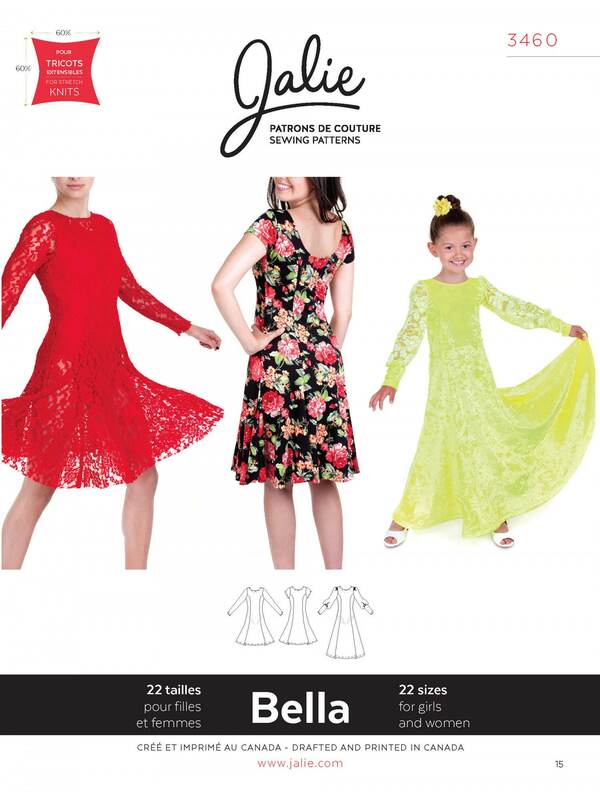 Package includes patterns and instructions to make Jalie's BELLA. 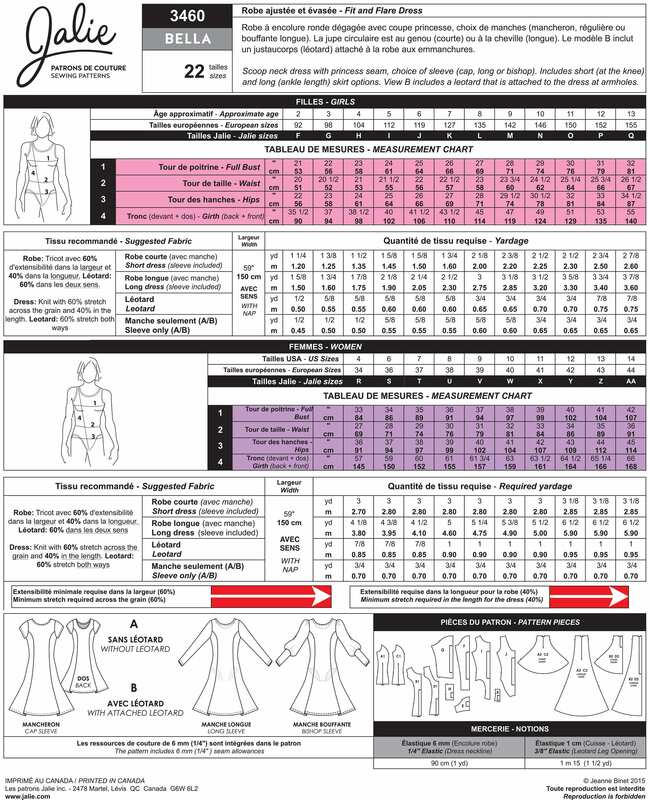 Scoop neck dress with princess seam, choice of sleeve (cap, long or bishop). Includes short (at the knee) and long (ankle length) skirt options. View B includes a leotard that is attached to the dress at armholes. Great for Competition Dance too!